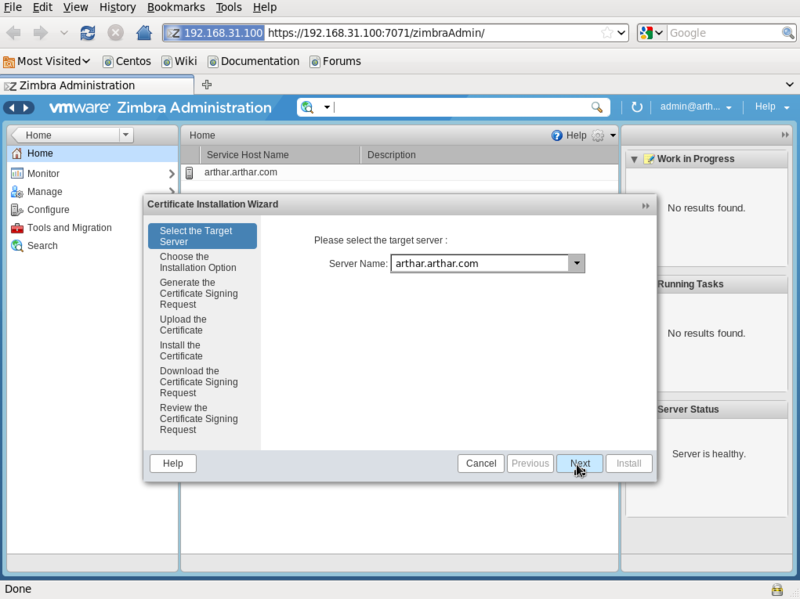 (Swap ARTHAR.ARTHAR.COM for your hostname, as it appears in the error). 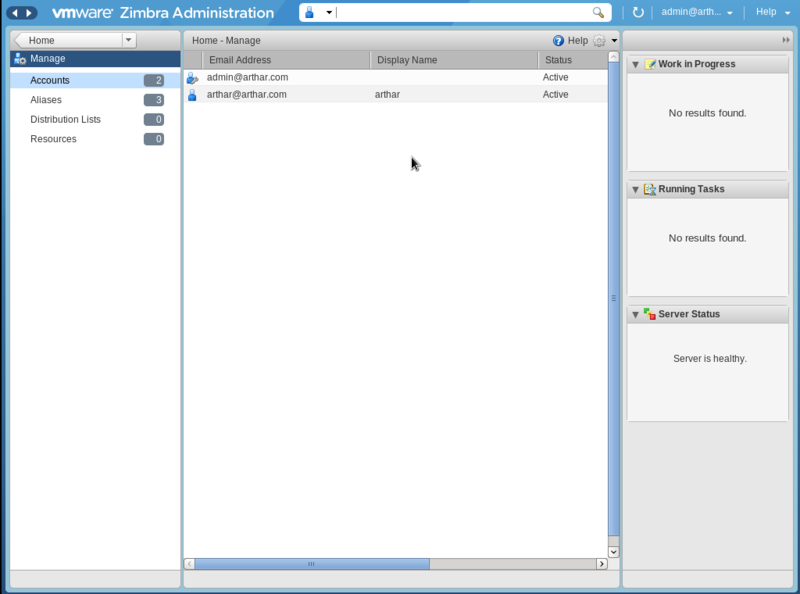 The Zimbra hostname may be different than the system. 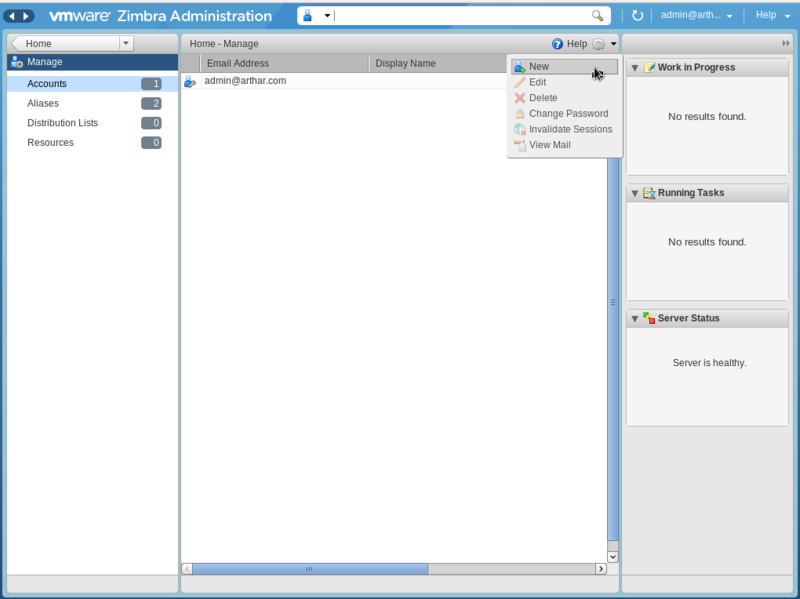 Add the Zimbra hostname to /etc/hosts.allow. 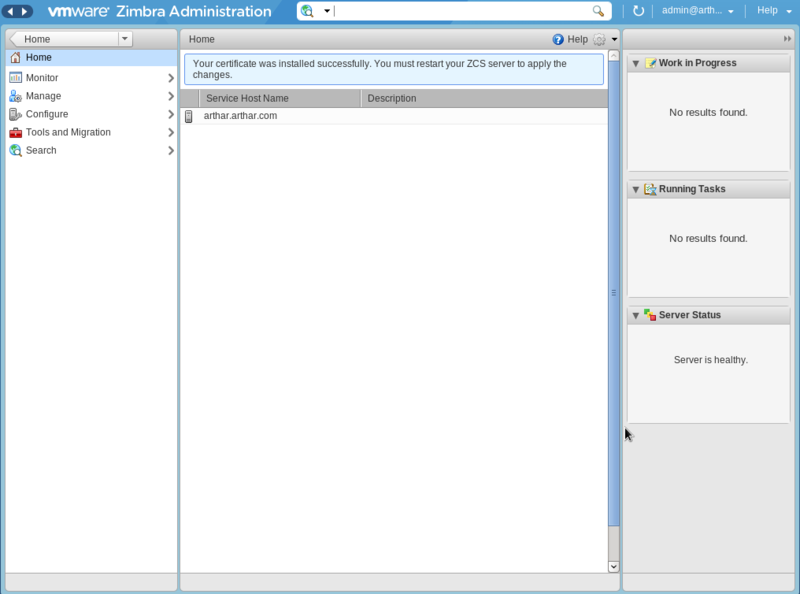 If the output from ssh indicates that Next authentication method: password as below, then the Zimbra account may be locked. 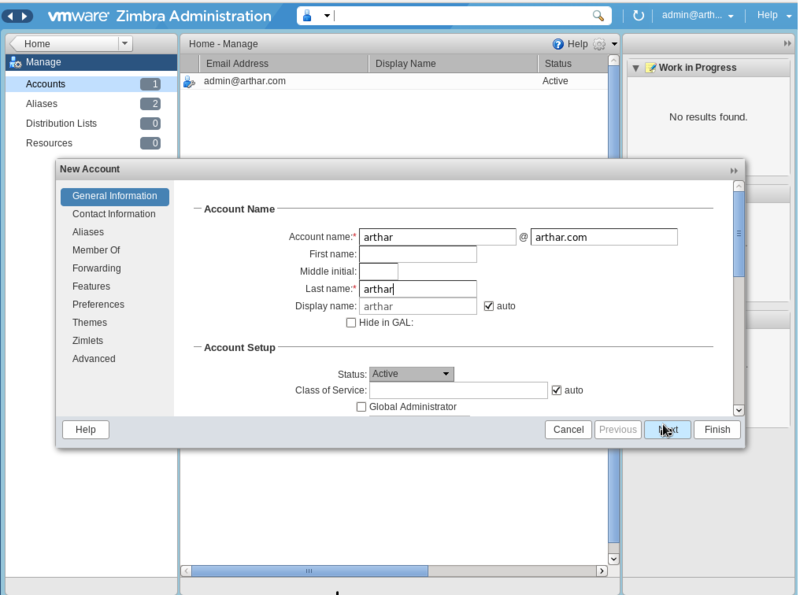 Use this command to unlock the zimbra account (or you can edit the shadow file directly and remove them). Then check /etc/shadow again, there should be no ! 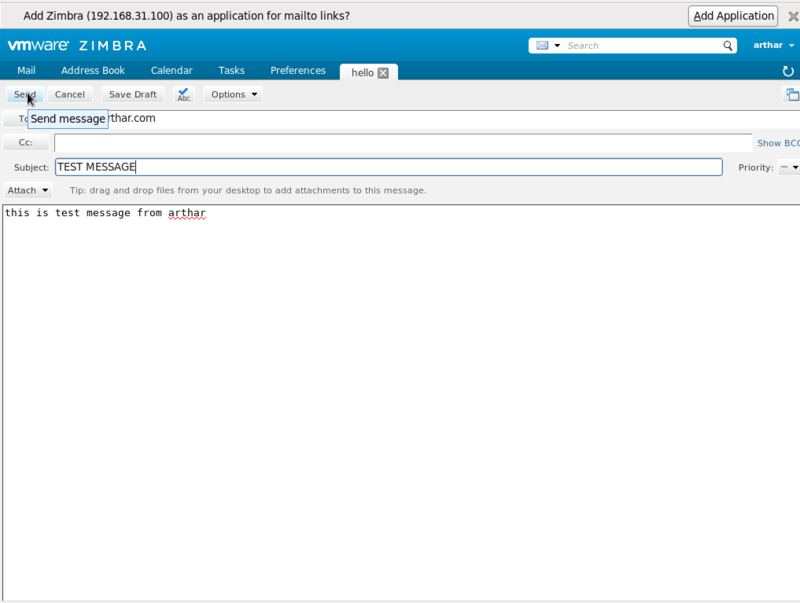 for the zimbra account. You may need to do this multiple times to remove the ! and unlock the account. 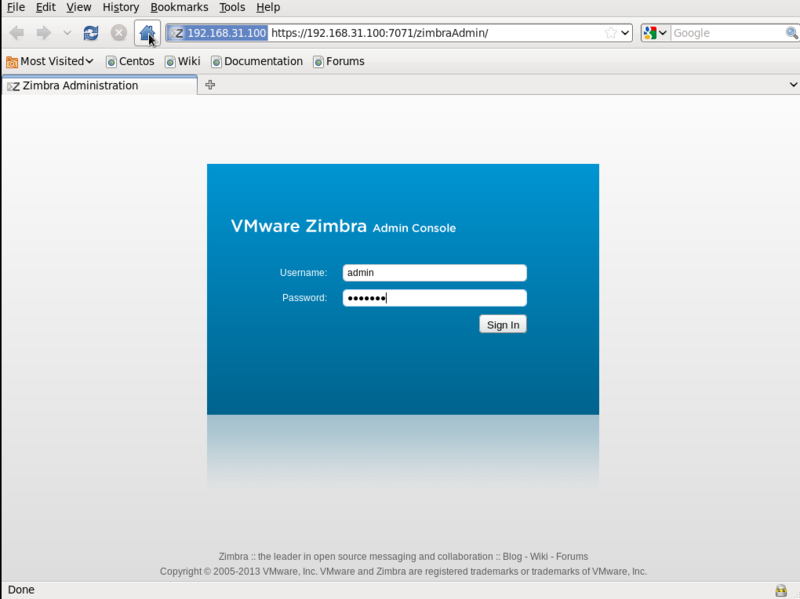 As root, type /opt/zimbra/libexec/zmsyslogsetup. This enables the server to display statistics. 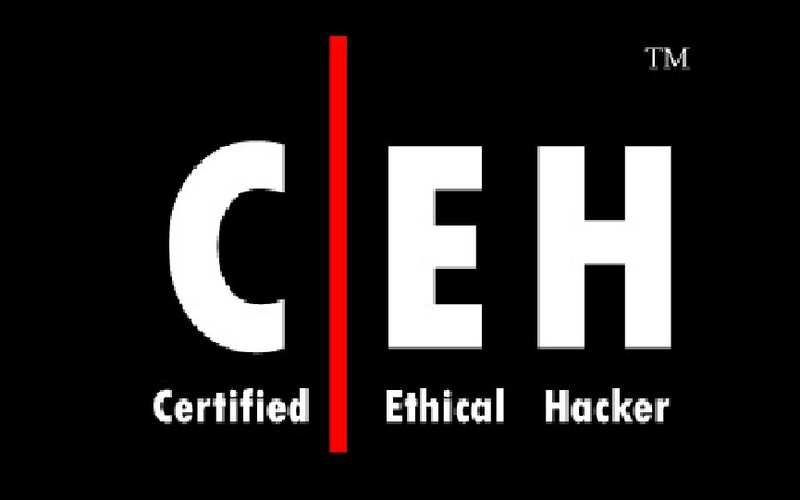 For enable syslog to log statistics from remote machines. 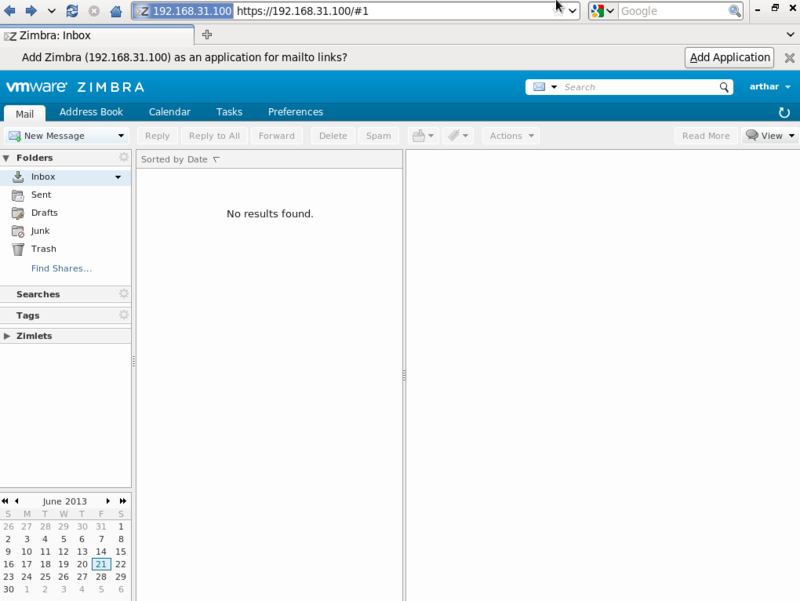 Access to ‘https://(hostname or IP address):7071/’, then following screen is shown. 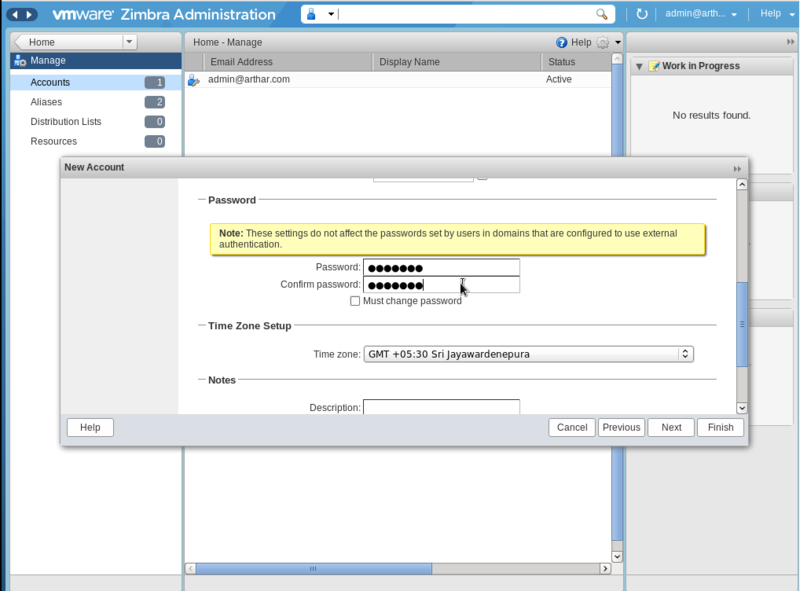 then, login with amin user and password which is set during installation. 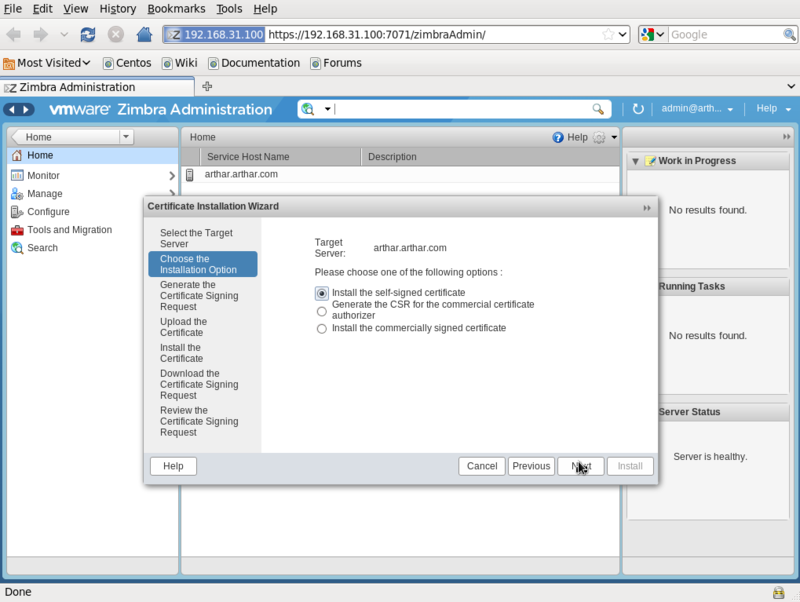 Click “Start” – “install certificates”. Select target server and go next. Select one and go next. 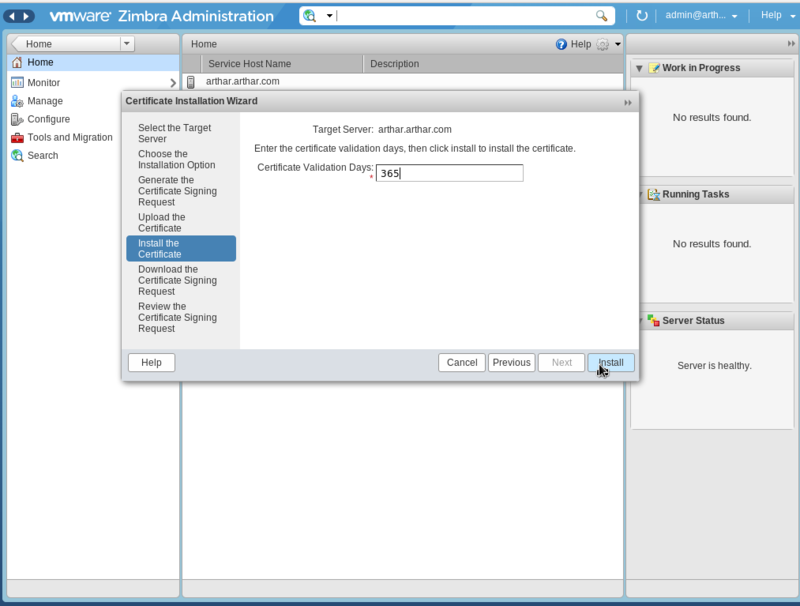 This example proceed with self signed certificates. Change fields if you need and go next. 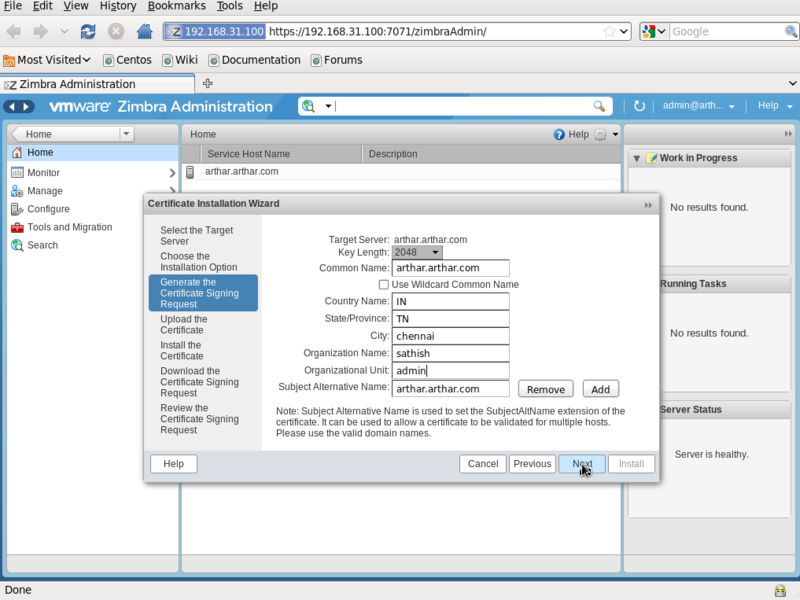 Input effective days of certificates and click “install” button. Back to the first screen and click “manage” – “account” on the left menu.and click the icon which is on the right of “Help” and then select “new” on the menu. Input account name and so on. Scroll down and input password and time zone and click “finish” button. New account is just added. 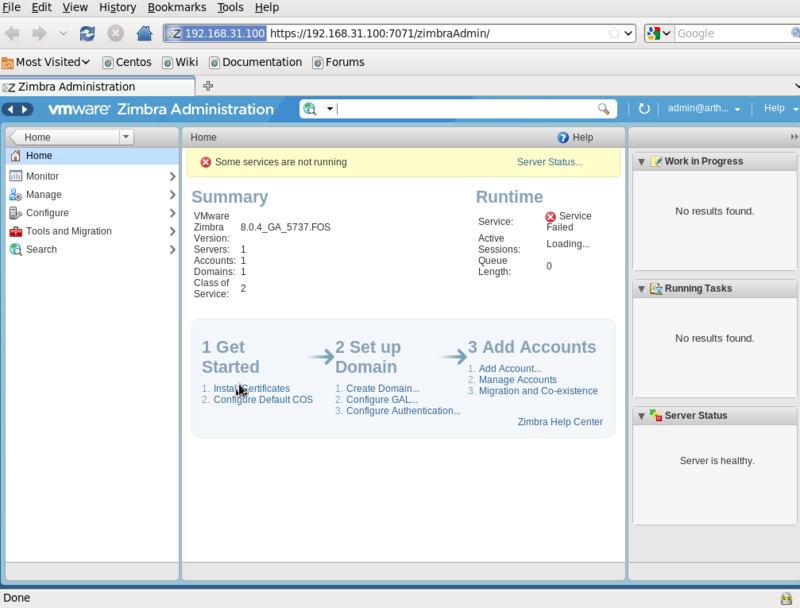 Logout the admin console and move to user console. 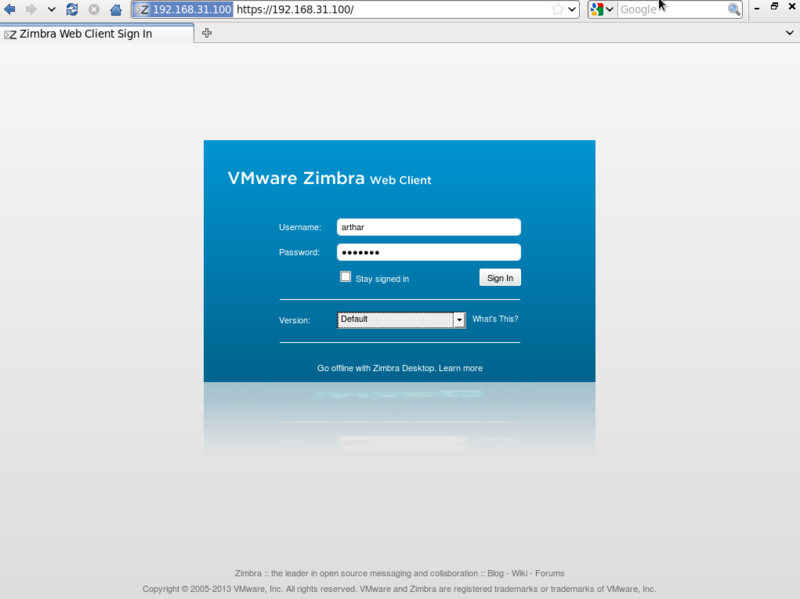 Access to “https://(hostname or IP address)/” and login with a user and password you added. Nice Guide .. keep up the good work..